ARC & PLC are being offered as before, with ARC having a county & individual option as before. Producers will elect a program per commodity for 19 & 20, but then beginning in 2021 will have a chance to make the decision on which program they want annually. This is a good change, not locking you into a 5 year decision. This will allow you to change your decision if it looks dry maybe look at ARC & if prices are dropping maybe look at PLC…. Base acres that have been planted to grass or pasture and planted none of their base acres to program crops for all years 09-17 will be “suspended” from receiving payments, but still maintain their historical base. These base acres will be eligible for the CSP grassland program and can receive a payment of $18/acre. These suspended acres will also be considered “planted” to program crops during this farm bill so it will maintain the base for future legislation. The definition of “grass” is uncertain at this time and will have to interpreted by the AG Secretary(we will get more information on this at a later date as it seems a little vague at this point in time). Effective reference prices (ERP) now include a formula and COULD go up as much as 15% if commodity prices improve. The same reference prices from the old farm bill are still in place, with the 115% modifier in place. The reference prices are used for the PLC program and determine if a payment is triggered. As in the old farm bill the prices are as follows: Corn=$3.70 with a cap at 115% set at $4.26, Soybeans=$8.40 with a cap at 115% set at $9.66. Wheat=$5.50 with a cap at 115% set at $6.33, and Milo=$3.95 with a cap at 115% set at $4.54. To set the 115% cap for both ARC & PLC, an Olympic average of the last five MYA will be multiplied by 85%. If this is higher than the statute price, this number will be used up to the maximum of 115% of the reference prices. When looking at a Soybean example of prices of $10.10, $8.95, $9.47, $9.33, and $8.60. The Olympic average which is throw out high and low and average remaining you get $9.25, which is multiplied by 85% which is $7.86 and is less than $8.40, so we use $8.40. One thing to keep in mind is that we have had lower prices over the last 5 years and many of the averages will be below the reference price, so in most cases the old reference prices will be used like as before. The only nice thing about the 115% modifier is that it would increase the reference price if prices would skyrocket. The payment cap remains at $125,000, but allows it be extended to nieces, nephews, and first cousins, but still need more detail on what that actually means. The AGI limit cap remains at $900,000. For PLC all producers get an opportunity to update their payment yields with the 2020 crop year. The formula is a little confusing, but if the formula is higher than current PLC yield, then producer will want to update their yield. This would increase PLC payments. More specifics on sign up dates at FSA and etc., will be released at a later date. For ARC payments will be based on physical location as opposed to the administrative county. We had some clients who didn’t get payments in the old farm bill last year on irrigated Corn who fell into this donut hole because they had an administrative county that was mainly dryland. This should be a good change making things more accurate on the payments. RMA or crop insurance yields for ARC will be used for county yields and setting guarantees and calculating county payments for ARC. This is a good change and should be more accurate than using NASS information. For ARC, low years will be replaced with 80% transitional yield and a TA Factor will be applied. USDA will be required to publish source of data used to calculate county yields. Crop Insurance Companies will be required to submit producer yields 30 days after the final planting date, hopefully speeding up process of publishing a county yield value and allowing producers the ability to estimate ARC payments more accurately ahead of time. Marketing Assistance Loans & LDP programs remain the same with rates increasing to the following: Corn-$2.20, Sbeans-$6.20, Wheat-$3.38, & Milo-$2.20. CRP acre cap will be increased from 24 million acres currently to 27 million acres by 2023, rental rates will be reduced to 85% of the average county rental rate for general sign ups and 90 % of the county average for continuous CRP enrollment. CSP will be phased out as a standalone acre-based program and be administered with current EQUIP. We left the old programs in as well, since we are still under their law for 19 and these new changes won’t start until 2020. 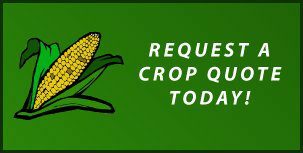 Click HERE for USDA page on Farm Bill Options. Click HERE for Supplemental Coverage Option Fact Sheet. Click HERE for APAS Decision Tool. Payments are issued when the actual county crop revenue of a covered commodity is less than the ARC-CO guarantee for the covered commodity. The ARC-CO guarantee equals 86 percent of the previous five-year market year average price, excluding the years with the highest and lowest price (the ARC guarantee price), times the five-year average county yield, excluding the years with the highest and lowest yield (the ARC county guarantee yield). The payment is equal to 85 percent of the base acres of the covered commodity times the difference between the county guarantee and the actual county crop revenue for the covered commodity. Payments may not exceed 10 percent of the ARC guarantee price times the ARC county guarantee yield. Payments are issued when actual ARC-IC revenue, summed across all covered commodities on the farm, is less than the associated ARC-IC guarantee. The farm for ARC-IC purposes is the sum of the producer’s interest in all ARC-IC farms in the state. The farm’s ARC individual guarantee equals 86 percent of the farm’s individual benchmark guarantee, defined as the five-year average of a producer’s annual benchmark revenue for each commodity, excluding the high and low annual revenues. The resulting revenues are averaged across all crops on the farm, based on plantings, to obtain the revenue guarantee. Actual revenue is computed similarly. The ARC-IC payment equals: 65 percent of the sum of the base acres of all covered commodities on the farm, times the difference between the individual guarantee revenue and the actual individual crop revenue across all covered commodities planted on the farm. Payments may not exceed 10 percent of the individual benchmark revenue. All of the producers and owners with a share of production on a farm must make a one-time, unanimous election of: (1) PLC/ ARC-CO on a covered-commodity-by-covered-commodity basis; or (2) ARC – IC for all covered commodities on the farm. If the producers and owners with a share of production on the farm elect PLC/ ARC – CO, the producers and owners must also make a one-time election to select which base acres on the farm are enrolled in PLC and which base acres are enrolled in ARC – CO. Alternatively, if ARC – IC is selected, then every covered commodity on the farm must participate in ARC – IC. The election between PLC – ARC/CO and ARC – IC is in effect for the 2014-2018 crop years. If producers and owners with a share of production on a farm fail to make a valid election during the prescribed election period, the farm will be ineligible for any 2014 payments and the farm will be deemed to have elected PLC starting in the 2015 crop year. Election is not enrollment. Producers must still enroll their farm to receive program benefits. If the sum of the base acres on a farm is 10 acres or less, including generic base acres, a producer on that farm may not receive PLC or ARC payments, unless the producer is a socially disadvantaged farmer or rancher or is a limited resource farmer or rancher. Payments for PLC and ARC are issued after the end of the respective crop year, but not before Oct. 1. Producers enrolling in PLC, and who also participate in the federal crop insurance program, may, beginning with the 2015 crop, make the annual choice as to whether to purchase additional crop insurance coverage called the Supplemental Coverage Option (SCO), if available. (USDA’s Risk Management Agency administers the federal crop insurance program.) SCO provides the producer the option of covering a portion of his or her crop insurance deductible and is based on expected county yields or revenue. The cost of SCO is subsidized and indemnities are determined by the yield or revenue loss for the county or area. Crops/counties for which the producer has elected to receive ARC are not eligible to purchase SCO. Producers who enroll their 2015 crop of winter wheat in SCO may elect to withdraw from SCO prior to their acreage reporting date without any penalty. This allows producers additional time to make an informed ARC/PLC participation decision. If they choose ARC, they will not be charged a crop insurance premium so long as they withdraw from SCO prior to their acreage reporting date. What can a user do with the price data files? When combined with producers’ yield projections, the individual coverage and county coverage ARC tables allow producers to estimate 2014-crop ARC guarantees and projected “actual” revenues under both the individual and county coverage options. The PLC table provides payment rate projections. These price files will be re-posted monthly after each release of USDA’s World Agricultural Supply and Demand Estimates (WASDE) report until prices are finalized for program purposes. Can the yield file be used for County Agricultural Risk Coverage (ARC-CO) purposes? No. ARC-CO yields are complicated by multiple years of data and irrigated/non-irrigated practices. An ARC-CO yield file will be posted soon. On what date will the price files be re-posted monthly? The price files will be reposted no later than 3 business days after the WASDE posting. What help can farmers get in learning more about ARC-PLC? Congress provided $3 million for universities to develop web-based decision tools for ARC-PLC and other 2014 Farm Bill programs. These tools will be available late this summer. In addition, Congress provided $3 million for producer education, which will also start in the late summer and provide farmers with information on how to use the decision tools. 2015-Important-All producers need to make sure they have a form AD-1026 on file at FSA for each entity they have. If this form isn’t on file at FSA by June 1, 2015, then producers can lose their crop insurance cost share subsidy. Acreage report–An annual report for each insured crop in the county in which the producer has an ownership share. It indicates the crop planted, acreage prevented from planting, the producer’s share in those crops, acres planted, the dates planted, and other information. Acreage reporting dates vary from crop to crop based on the production cycle. For example, the crop insurance acreage reporting date for many counties is November 15 for winter wheat. Base acres— A farm’s crop-specific acreage of wheat, feed grains, rice, oilseeds, pulse crops, or peanuts eligible used for FSA program purposes. Base acres do not necessarily align with current plantings. Upland cotton base acres on the farm are renamed “generic” base acres. Benchmark price—The higher of the reference price or the respective market year average price for the covered commodity. The benchmark price is used to compute annual ARC-Individual Coverage and ARC-County Coverage benchmark revenues. Covered commodities–Include wheat, oats, barley, corn, grain sorghum, rice, soybeans, sunflower seed, rapeseed, canola, safflower, flaxseed, mustard seed, crambe and sesame seed, dry peas, lentils, small chickpeas, large chickpeas and peanuts. Effective price—For the specific covered commodity, the higher of the market year average price or the national average loan rate. Generic base acres—Former upland cotton base acres. Generic base acres are not involved in, or subject to, base acre reallocation. If generic base acres are planted to a covered commodity in a given year, then those acres are considered base acres for that planted covered commodity in that crop year. For example, if a farm with 500 generic base acres plants 250 of those generic base acres to corn, and the farm elected ARC-County Coverage for corn, then those 250 generic base acres are treated as corn base in that crop year and receive an ARC-County Coverage payment if one is triggered. Limited resource producer—Limited resource producer status may be determined using the USDA Limited Resource Farmer and Rancher Online Self Determination Tool located on the Limited Resource Farmer and Rancher page at /The automated system calculates and displays adjusted gross farm sales per year and the higher of the national poverty level or county median household income. Market year average (MYA) price— Reflects the average price received by farmers across the nation at the point of ﬁrst sale, across all grades and qualities of the crop. USDA publishes MYA price projections in the monthly World Agricultural Supply and Demand Estimates report. Reference price—Prices for covered commodities set in Title I of the 2014 Farm Bill that apply for 2014-2018 crops and are used in the PLC and ARC programs. For example, the reference price for wheat is $5.50 per bushel for 2014-2018 crops. Socially disadvantaged producer—Includes American Indians or Alaskan Natives, Asians or Asian Americans, Blacks or African Americans, Native Hawaiians or other Pacific Islanders, Hispanics, and women.